Yellow wet paint hype imprinted yellow sunglasses are crazy party boosters don’t you feel so? Hype imprinted yellow sunglasses like this are favored by most party crowd because they make them appear trendy creatures and easily makes them stand out in crowd. This crazy yellow sunglass is suited for summer parties, beach side parties, beach fests and summer wedding parties. By gifting truckload of this imprinted yellow sunglass you are going to build relationships that last a lifetime. 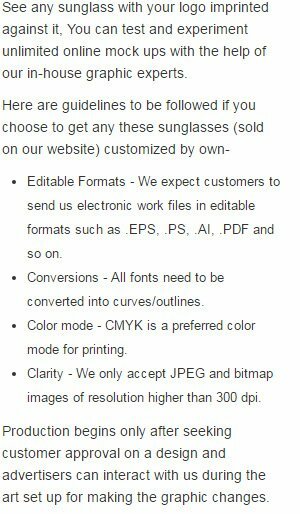 Bulk order of this imprinted sunglass is admirable due to discounts and appreciation that follows it. Highlights –4 -Color process highlight. Yellow wet paint. Yellow glass frames.